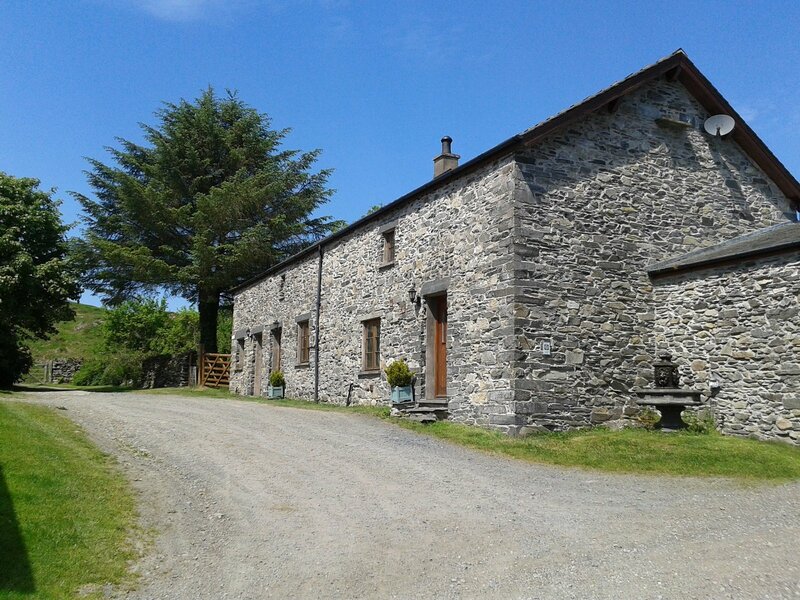 This holiday cottage was once the Blacksmiths workshop, where until recently the forge remained. It is a sturdy building typical of the style of many in the Lake District, made of the local Burlington and Coniston slate. 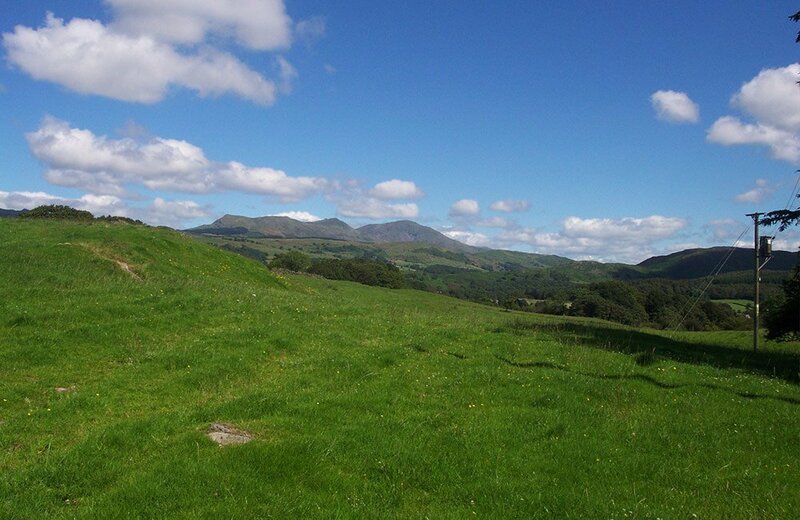 There are excellent panoramic views from the cottage of the Old Man of Coniston and the surrounding fells, Dow Crag, Walna Scar and Swirl How. Blacksmiths Cottage has been awarded the VisitEngland Gold Award for exceptional quality of accommodation and customer service. 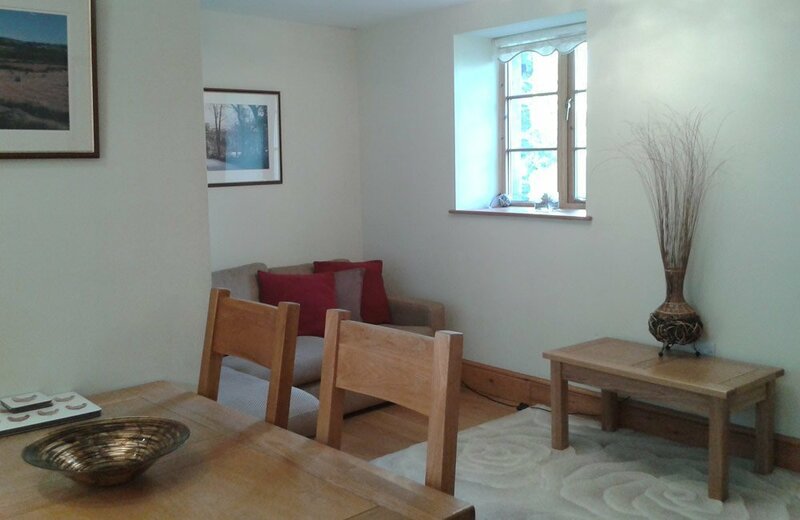 Blacksmiths Cottage has an open plan lounge and kitchen/dining area. 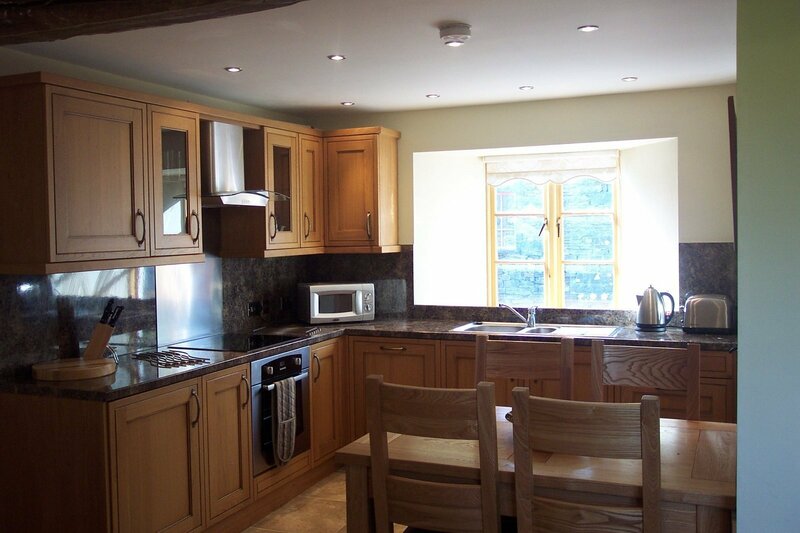 There is a solid oak fitted kitchen with dishwasher, electric oven with halogen hob and microwave. All crockery and cutlery is included. The cottage has solid oak flooring with under floor heating, and quality lounge and dining furniture. The lounge has a woodburning fire, logs are provided. There is a flat screen television with FreeSat and DVD player. Blacksmiths Cottage also has free WiFi access. 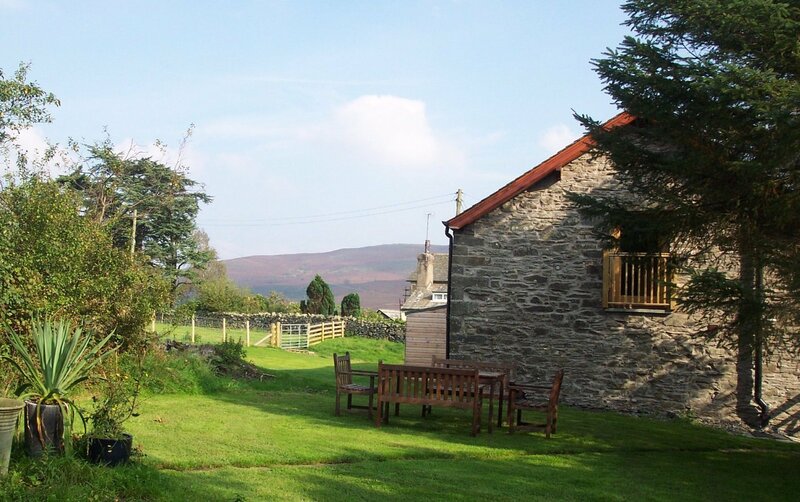 The Cottage has one double bedroom and one twin bedroom. 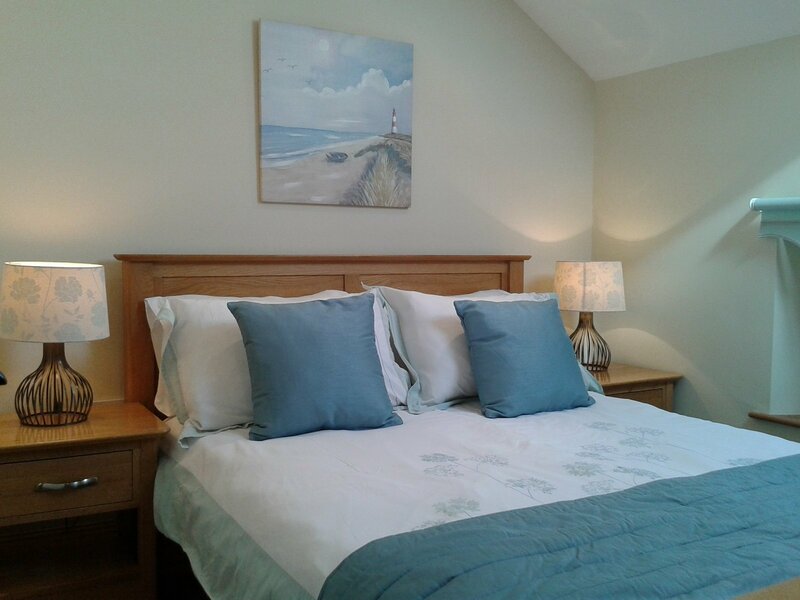 The double bedroom has an oak double bed, double wardrobe, tallboy chest of drawers and bedside tables. 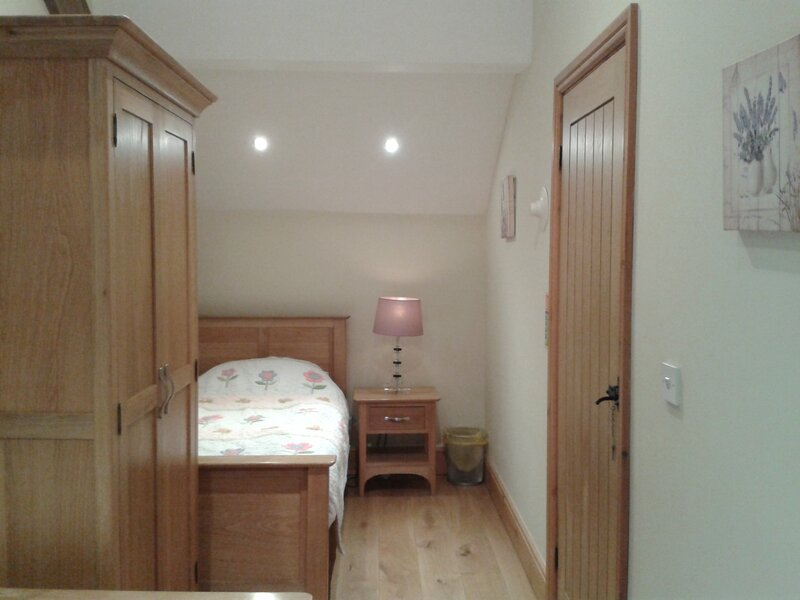 The twin bedroom has two oak single beds, a double wardrobe and bedside tables. Both of the bedrooms have solid oak flooring and under floor heating. Bed linen is provided. 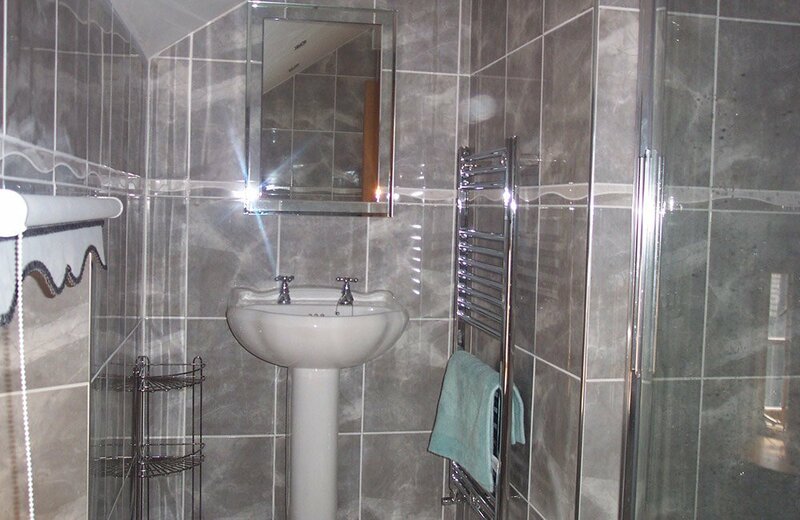 The luxuriously appointed bathroom is fully tiled with under floor heating and a chrome heated towel rail. There is a large curved shower, wash basin and W. C.
There is a large garden to the rear of the cottage, which is shared with Stable and Woodmans cottages. 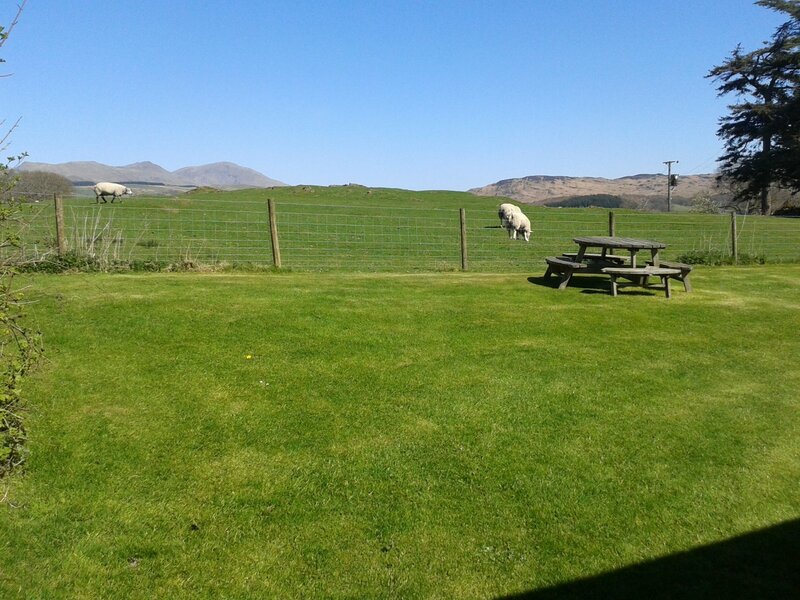 Garden furniture and barbeques are provided. We are sorry but no pets are allowed in Blacksmiths Cottage.